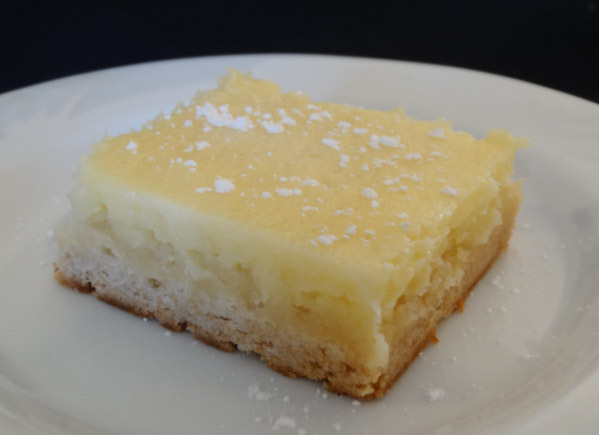 Lemon Gooey Butter Bars are your traditional butter bars with a zing of fresh lemon added for lemon lovers. Ooey Gooey Butter Cake or bars have been around for ages. Even though the one layer is made with cake mix, I’m not quite sure how this recipe was ever referred to as a cake. Regardless of what name you actually call this dessert, it is a great tasting dessert and worth making. The first layer of this dessert acts as the crust and consists of cake mix, butter, and an egg. The second layer is the filling. The cream cheese and butter make the filling soft and gooey. 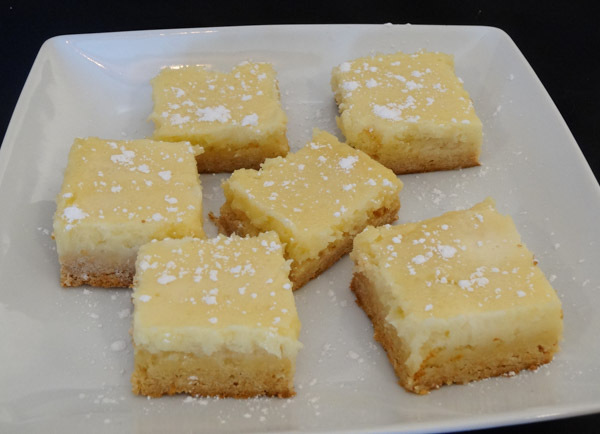 The addition of fresh-squeezed lemon juice gives these butter bars that extra pop of flavor. This recipe for Lemon Gooey Butter Bars takes about 15 minutes to prepare and about 35 minutes to bake. You will need to chill this dessert for a few hours prior to serving so I would recommend either baking the dish early in the morning if you need it at night or making this dessert the night before you need it. 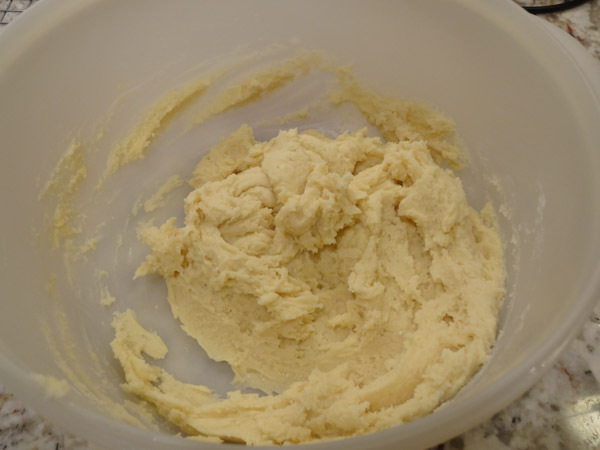 In large bowl, combine the dry cake mix, melted butter, and egg with a large spoon or with an electric mixer until ingredients are well blended. Press batter into bottom of prepared pan. Set aside. In another large bowl, add in softened cream cheese and blend with electric mixer for 2 minutes. Add in eggs, powdered sugar, fresh squeezed lemon juice, and lemon (or vanilla) extract. Blend with electric mixer until well blended. Add in melted butter and blend just until combined. Spread filling evenly over the unbaked crust layer. Place baking dish in oven and bake at 350 degrees F for 33 to 40 minutes. Center of filling should be mostly set and edges will be a light golden brown. Allow pan to cool on wire rack for approx. 20 minutes. Cover top of pan with saran wrap or aluminum foil and then refrigerate for at least 2 to 3 hours to chill. 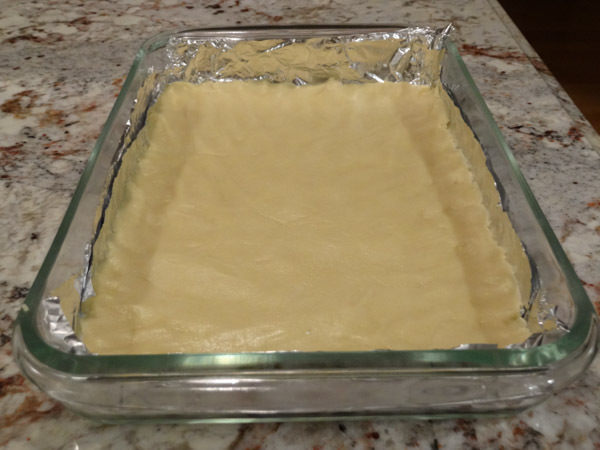 Remove pan from refrigerator and cut into squares. Sprinkle with powdered sugar. 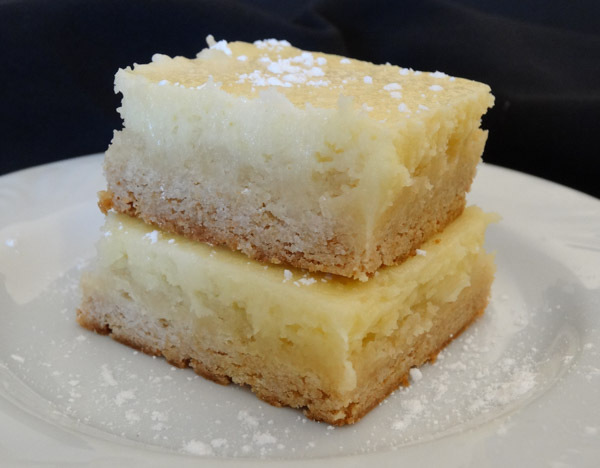 Lemon Gooey Butter bars consist of the traditional ooey gooey butter bars with a zing of lemon added for lemon lovers. 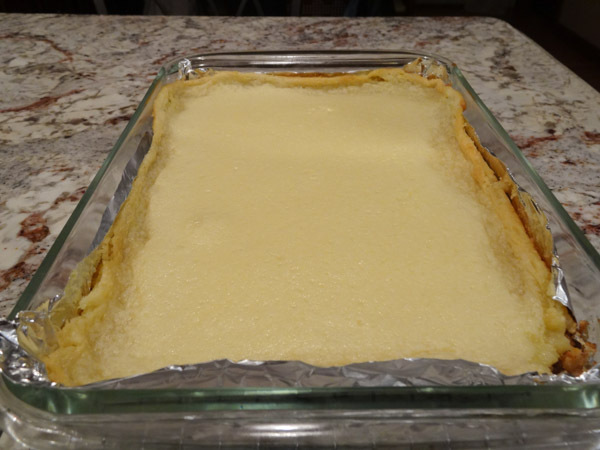 In large bowl, combine cake mix, melted butter, and egg. Blend with electric mixer until ingredients are well blended. 2. 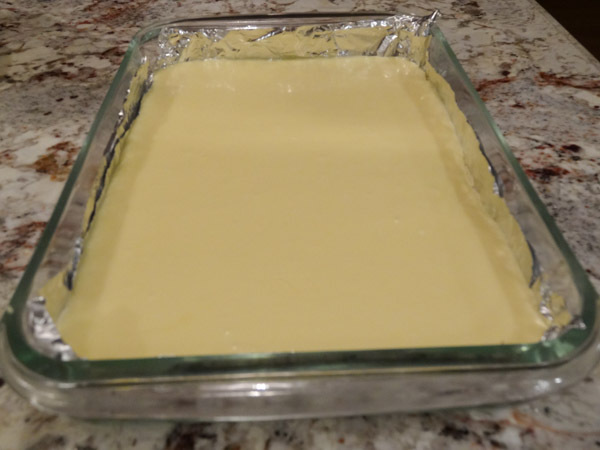 Spoon batter into lightly greased or parchment lined 9 x 13 inch baking dish. Press batter into bottom of pan. Set aside. 2. In large bowl, add in softened cream cheese and blend with electric mixer on medium speed for 2 minutes. 3. Add in eggs, powdered sugar, fresh squeezed lemon juice, and lemon extract. Mix with blender until well blended. 4. Add in melted butter and blend until combined. Spread filling evenly over unbaked crust layer. 5. Bake at 350 degrees F for 33 to 40 minutes or until center is mostly set and edges are light golden brown. 6. Remove pan to wire rack and allow to cool for at least 20 minutes. Cover pan with saran wrap or aluminum foil and refrigerate for at least 2 to 3 hours to chill. 7. Once dessert has chilled, cut into squares and sprinkle with powdered sugar.